Unless Qatar stops its “decades-long practice of supporting terrorism” and negotiates with Arab states for the “greater stability” of the region, it will face increased isolation, UAE’s Minister for Federal National Council Affairs told RT in an exclusive interview. On Monday, several countries, including the United Arab Emirates and Saudi Arabia, abruptly cut off relations with Qatar, sparking a regional diplomatic crisis that is threatening stability in the region. 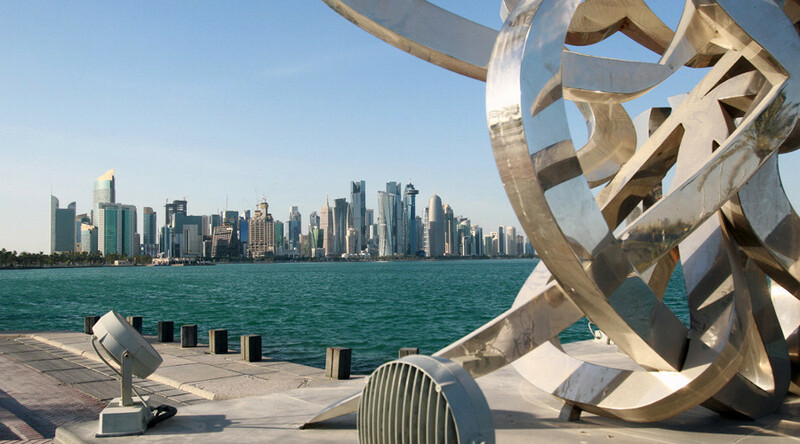 Qatar's Gulf neighbors and other Arab states accuse Doha of sponsoring terrorism. “The red line crossed by the Qatar authorities is obvious. This is support for terrorism, support for terrorist groups and the stationing of radical groups on Qatari territory... In relations, with us, Qatar pursues a policy that contradicts the positions that our states maintain,” Noura bint Mohammed Al Kaabi told RT Arabic. “The problem did not arise in a day or in the last four years. This story stretches back for decades. The Qatari government had many obligations, which it had to fulfill... But these promises and commitments have never been fulfilled. You can see this in both the media and the groups which are supported by the Qatari government,” she added. The Gulf crisis erupted following publications by the official Qatari state news agency QNA on May 23. It published remarks, falsely attributed to Sheikh Tamim bin Hamad Al Thani, in which he allegedly discussed Iran’s role in the Middle East and the role of Hamas and Hezbollah in the region. While QNA quickly retracted the news and claimed it had fallen victim to a cyberattack by an “unknown entity,” the ‘statements’ revived old discord between Qatar and a number of key Arab nations. But as the crisis deepened, the Arab states blamed not only the monarchy but its media outlets as well. Al Jazeera was singled out for spreading the country’s agenda and alleged support of terrorism. 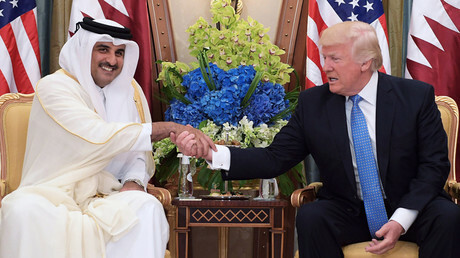 Saudi Arabia, UAE, and others are demanding that Qatar reconsiders its foreign policy and end the dissemination of its political messaging via different media platforms. "We hope that Qatari authorities will reconsider their politics and reconsider the reasons for the presence of radical entities on their territory that have relations to terrorist organizations in the Persian Gulf region. These entities use the Qatari information platforms... to spread their messages leading to the destabilization of the region,” Al Kaabi said. After Arab states introduced a number of economic measures against Doha, Kuwait on Wednesday, sent an emissary with demands prepared by Saudi Arabia to resolve the crisis. Most of the demands centered on Qatar’s relationship with Iran and its alleged support for terrorists. “They [Qatar] should also review the financial and logistical support of terrorist groups in Iraq, and in Yemen. In addition, Qatar should reconsider its political closeness with Iran, which is the first among nations which support terrorism... we are categorically against such a position of political cooperation with the enemy,” the minister stressed. “Right now the ball is in Qatar’s court. Our policy is clear and our demands too. We always welcome negotiations that contribute to resolving this crisis. The State of Qatar can exist in economic isolation and pursue its politics with those states that Qatar has chosen at the moment. However, we, the Persian Gulf states, the UAE, Saudi Arabia, Bahrain, and Arab countries, such as Egypt, have a clear position and clear requirements. As I said, the ball is in the Qatari half of the court,” she added. While striving to find a solution to the ongoing stalemate, the minister hinted that Arab nations might introduce additional economic pressure to force Doha to change its course. “We urge them to carefully consider the factions they support, and the links of these groups with the events that we are experiencing. For example, the events in Manchester. We have a chronological map with the names of these terrorists and their connections with the government of Qatar. This map is the strongest confirmation that the Qatari government has not changed its course in this matter." At the moment, as the UAE sees it, Qatar has only two paths it can pursue with its neighbors. “The first is the settlement of the crisis at the negotiating table, where all issues will be openly and clearly discussed... The another scenario is isolation. 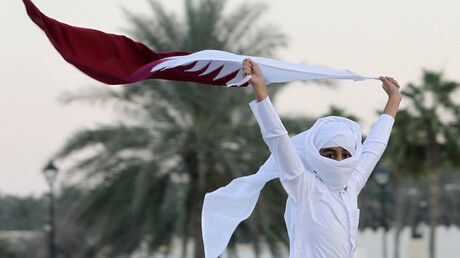 This will affect the government and the state of Qatar and the region,” the minister said. “The crisis must be resolved. We always want a solution to be found – a decision in the interests of the region, in the interests of stability and security of the region,” the minister added.